We can maximize your compensation! Call us today at (888) 532-7766! Every time we take to the road, we have the duty of sharing the roadways with other drivers, including truckers, motorcyclists, bicyclists, and pedestrians. Motorcyclists can be the most vulnerable motorists due to their small size, speed, and inability to be easily seen by other cars and trucks. Motorcyclists can be struck by a driver who simply didn't see the rider coming or going. 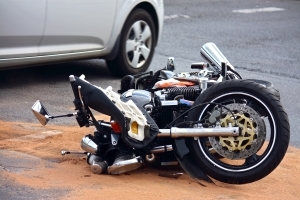 If you have been harmed in a motorcycle crash, it is imperative that you speak immediately with a skilled Indiana personal injury attorney from Parr Richey Frandsen Patterson Kruse LLP. Accidents involving motorcycle accidents often result in death or serious injury due to the lack of protection motorcyclists have. Although protective gear such as helmets and pads can decrease the severity of an injury during a collision, even low-speed accidents involving a motorcyclist can result in a serious injury that demands immediate medical attention. For this reason, accidents and injuries can result even though the cyclist exercises the utmost care. We have been fighting for the rights of injured victim's rights since 1899! As one of the oldest and most distinguished law firms in the area, we can be trusted to go the distance for you to ensure your damages do not go unnoticed. 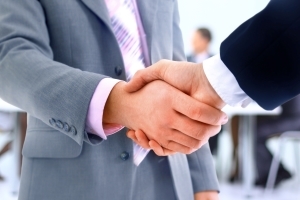 Do not hesitate to retain the immediate representation of our firm. 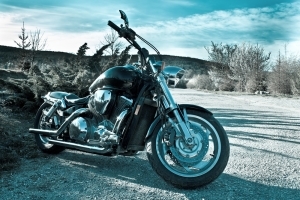 Have you been involved in a motorcycle collision? If you have been hit by a negligent motorist, we can help you recover your damages. We can investigate the cause of your accident, gather evidence to establish liability, and prove that your injuries are a direct result of someone else's negligence. By proving another motorist is responsible for your injuries, we can maximize your compensation! Additionally, we are fully equipped and qualified to file wrongful death claims to help surviving family members. Receive the legal guidance you need today! Call our Indiana motorcycle accident attorney. Don't wait another moment to contact Parr Richey Frandsen Patterson Kruse LLP. With our experienced trial attorneys at your side, we will prepare your case thoroughly from the very beginning. We can make sure insurance companies play by the rules and provide you with the fair compensation that you need so you can recover after an accident. Our phone lines are open 24 hours a day and 7 days a week. There is no bad time to call our nationally acclaimed lawyers!